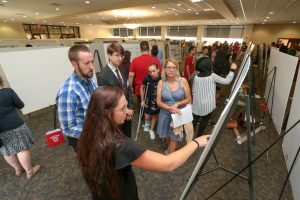 The summer ReBUILD Poster Symposium is an opportunity for our students to display their completed research during the five-week Summer Research Experience program. 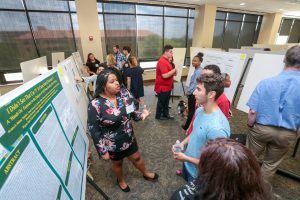 Scholars participated in the Summer Research Experience, a faculty-mentored laboratory experience based on their chosen research track. 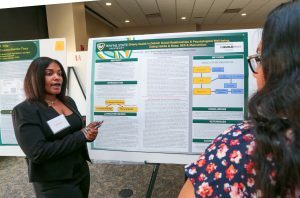 Scholars select their research trajectory from one of the following Research Coordination Network (RCN) courses: biology, chemistry and health disparity. 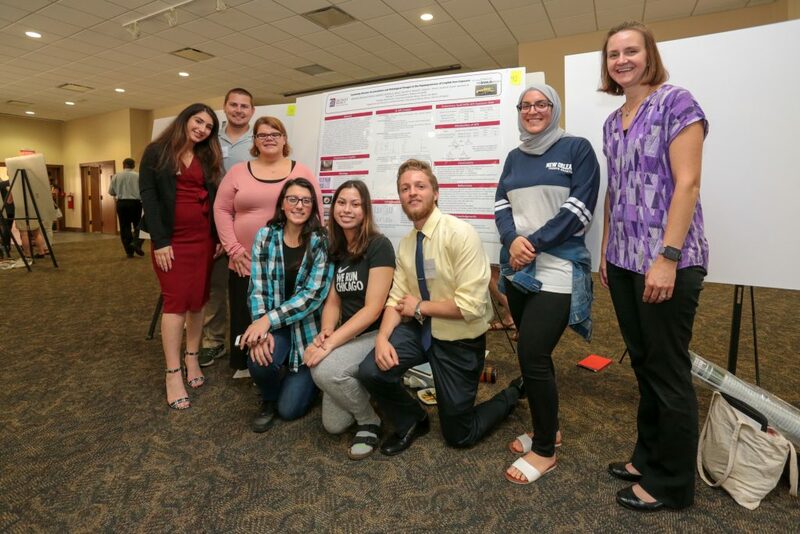 Over 85 posters were on display at the symposium with 115 students in attendance from Wayne State University and the University of Detroit Mercy respectively. 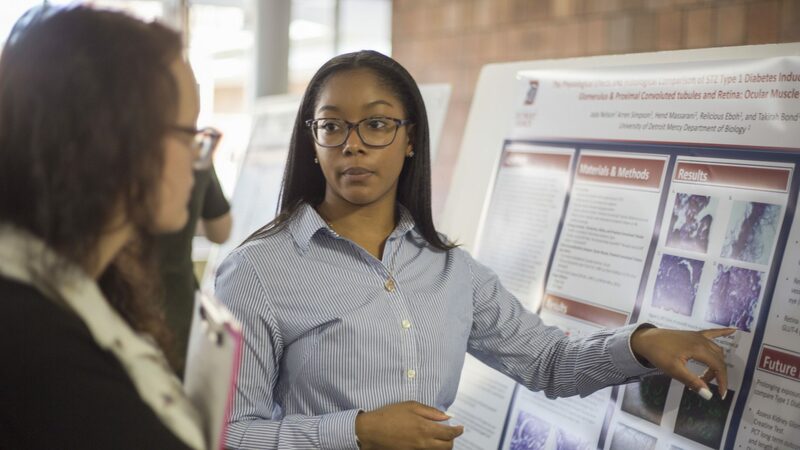 Students were able to present their completed research to audience members comprised of faculty, family and friends on the University of Detroit Mercy Campus. This event is a great opportunity for scholars to gain valuable experience in presenting their work to broad audiences that will aid them during future conferences.